This Weekend in La La Land! | .keepitight. This Weekend in La La Land! 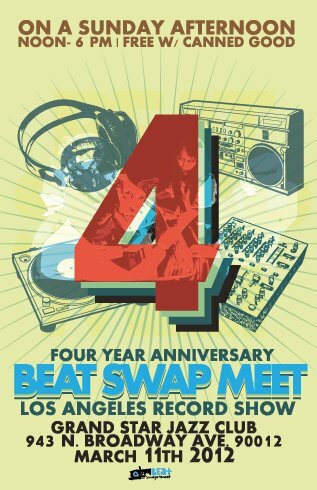 Yes, yes, y’all, the famous Beat Swap Meet is coming up on it’s 4 Year Anniversary! This event is free and all ages. A ton of people bring their vinyl and proceed to SWAP THEIR GOODS!!! 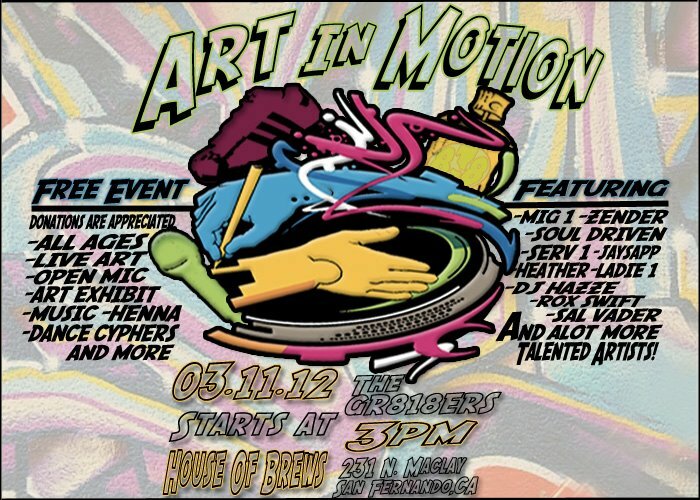 Also on hand will be a bboy battle, merchandise, arts, crafts, and an array of other goodies. All outdoors and in the beautiful CA weather. Get in where you fit in! Sa-weeeeeeeeeett!!! Those awesome GR818ERS are kickin’ off the season with an art show entitled “Art in Motion.” To get an idea of what their art events are like, peep out this older post. Knowing how they do thangs, this event will be chock-full of great music, people, awesome energy, and good times to be had. I can’t wait!